It has been said that the day you give birth is just one day in your life. What's the big deal? Well, the big deal is that it is one day in your life that you will remember for the rest of your life. Women swap birth stories with each other... it's what we do! Perfect strangers will share their birth stories because it's where we find common ground. It's part of our life story. The excitement, the disappointment, the triumphs and empowerment, or the hurts and feelings of failure. It is a much more important day than most of us realize at the time. Do yourself a huge favor and, first of all, pray about your upcoming birth. Discuss your desires with your family and significant other. Then, interview several midwives in your area to find the right fit. It may only be one day, but it is one of the most important days of your life. You want someone you trust to journey alongside you as you welcome your sweet little bundle (or bundles!) into the world. 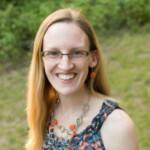 Ashley Musil is Midwife and Clinical Director of Wellspring Midwifery Care & Birth Center, located in Kingwood, Texas. Services at Wellspring include birth center and home births. The center is an inviting, spa-like atmosphere which focuses on natural, non-interventive care of normal, low-risk childbirth. It is conveniently located on Russell Palmer Road, just south of Northpark Drive, only 5 minutes from Kingwood Medical Center. Wellspring Midwifery Care & Birth Center accepts clients with private insurance as well as Medicaid (facility only). Health sharing plans, self-pay, HSA, and FSA are also accepted. 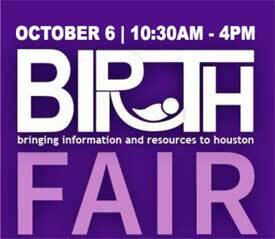 Please contact the office to schedule your FREE consultation and private tour of the birth center. It has been said that the day you give birth is just one day in your life. What’s the big deal? Well, the big deal is that it is one day in your life that you will remember for the rest of your life. Women swap birth stories with each other… it’s what we do! Perfect strangers will share their birth stories because it’s where we find common ground. It’s part of our life story. The excitement, the disappointment, the triumphs and empowerment, or the hurts and feelings of failure. It is a much more important day than most of us realize at the time. Do yourself a huge favor and, first of all, pray about your upcoming birth. Discuss your desires with your family and significant other. Then, interview several midwives in your area to find the right fit. It may only be one day, but it is one of the most important days of your life. You want someone you trust to journey alongside you as you welcome your sweet little bundle (or bundles!) into the world.